Bank Of America Vs. Google: Which One Of These Companies Is Evil? 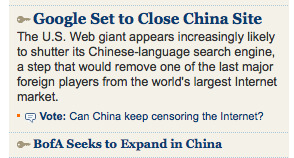 We caught this amusing pair of stories at WSJ.com this morning. It says all you need to know, doesn’t it?